Trump’s pick to lead the EPA transition team is a proud climate skeptic. 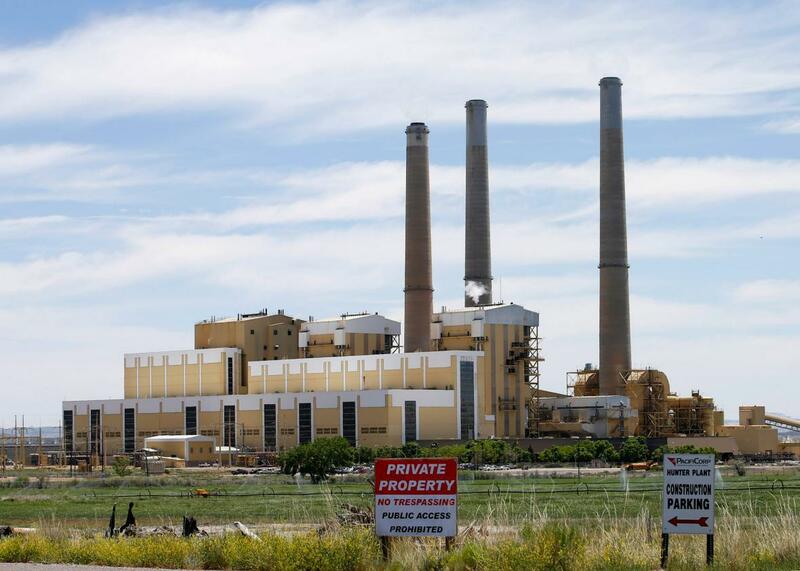 The Hunter coal fired power plant operated by PacifiCorp produces electricity on June 3 outside Castle Dale, Utah. We already know Trump doesn’t believe climate change is real, and that his presidency is likely to be a disaster for the planet. Wednesday we got word that Myron Ebell is his pick to lead the Environmental Protection Agency. Ebell is a well-known climate skeptic who wears these credentials proudly. While I know in my brain that “transition team” means “transition until Trump is president,” I cannot help but read this as “transition until we get rid of (or neuter) the EPA.” Trump has made it clear that he has no use for environmental regulation during his run. Look, it’s not just the health care law that we can replace, because we now have shown the willingness and the ability to do it. There are so many more things that I am excited about. Think about the laid-off coal workers now who see relief coming. Think about the farmers here in Wisconsin who are being harassed by the EPA in the waters of the USA. Think about the ranchers in the west who are getting harassed by the Interior Department or the laid-off timber workers. Things are not looking good for environmental protections.